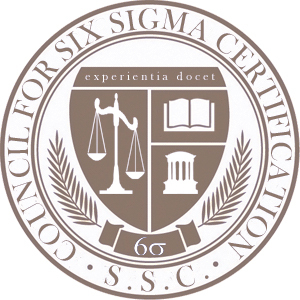 Developed with service industry businesses in mind but applicable across all disciplines, Certified Lean Six Sigma Black Belt Transactional training prepares individuals to become the leaders of improvement projects and team members and/or managers of a Lean Six Sigma program at their respective organizations. The Black Belt candidate’s knowledge base will be elevated through the acquisition of enhanced problem-solving experiences and advanced mastery of Six Sigma’s industry-tested system for process variation reduction. Through finance, government and health care examples, each session teaches the candidate how to apply the DMAIC (Define, Measure, Analyze, Improve, Control) methodology within their specific project environment, setting a goal of financial benefit and organizational improvement. Through the DMAIC model, candidates receive a comprehensive framework for project management, which places strategic emphasis on team building and root cause analysis. Additionally, candidates will learn how to use process mapping, perform data collection, apply graphical analysis and implement an extensive set of statistical tools. The course consists of 72 hours of online education and personal mentoring/coaching hours from a Master Black Belt. Candidates earn certification by passing an exam and undertaking and documenting an individual improvement project at the candidate’s place of work or a qualified host company/organization (candidate must secure arrangements). Successful projects require access to personnel, appropriate data and associated departments where the project is to be performed. Projects are expected to result in savings between $100,000 and $250,000. A final report is submitted for instructor approval, outlining performance goals and fully describing the steps taken toward improvement. Project outcomes will be documented – such as process improvement and financial impact – through the identification of before-and-after performance metrics.